When summer’s over and it’s time for Kit to redeploy, neither Kit nor Jessa are ready to say goodbye. Jessa’s finally following her dreams and Kit’s discovered there’s someone he’d sacrifice everything for. Come Back To Me is such an intense story that you can’t help but love. It’s a forbidden romance between Kit and Jessa, and as soon as you say the words forbidden romance I’m hooked, because I love this kind so much…Not all of them, though, are able to elicit strong emotions like Come Back To Me did. Mila Grey crafted an incredible story of love, sacrifice and courage, that made my heart flutter, made tears come to my eyes, made me wish more stories were like this one. I love how Mila wrote the scenes of the forbidden stage of their love. Kit and Jessa do anything in their power to be able to see each other, without being caught, and I found myself cheering for them and wanting to stand on sentry for them. The scenes are very tender and sweet, and there’s the right amount of steam to make your blood pump fast in your veins. “What do you want?’ I hiss. This is the first book I’ve read by Mila Grey and I can’t wait to read more of her works. 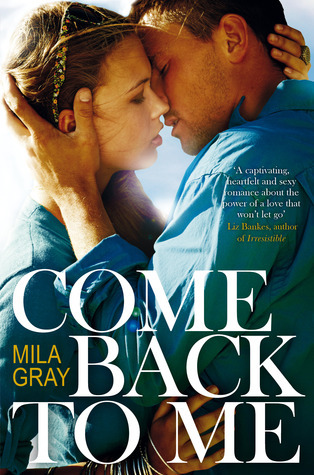 This entry was posted in Books, Favorite Authors, Mila Gray, New Adult, Reviews, Romance and tagged Come Back To Me, Mila Gray, New Adult, reviews, Romance. I loved your review and after reading it I went to buy a copy on my Kindle. I have to purchase through Amazon Canada and, if you can believe it, they only have it in paperback!! I put in a request (via an Amazon link on the book’s page) to have it made available for Kindle users. I’m dying to read it! I’m so happy to hear you’ll give this book a chance, Jana 🙂 I think you’ll really love it! I’m sorry to hear that amazon canada has it only on paperback. I hope they’ll put it on kindle soon!! Please, keep me posted on this. I read this book awhile ago and really liked it. Good story. Loved your review of it, Elena.